high-stress situations test your mettle. a trip to NYC with 10 kids is a big gulp. my high-assessment orientation loves to test out my cajones and quick-thinking on the subway and throughout the city by myself (playing to my total aversion to being a “tourist”). there’s no mistaking tourist-ness by dragging almost a dozen middle schoolers throughout Manhattan. We worked at a local settlement house (on the Lower East Side, where we slept in a church’s basement), toured the Tenement Museum, and, as much as is possible with a 15-person group, wandered the city. 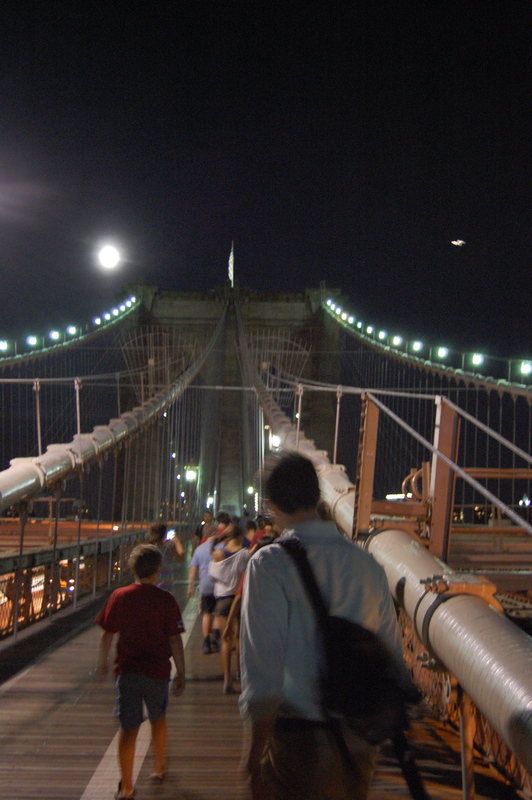 the experience afforded this view, crossing the Brooklyn Bridge with our troupe. 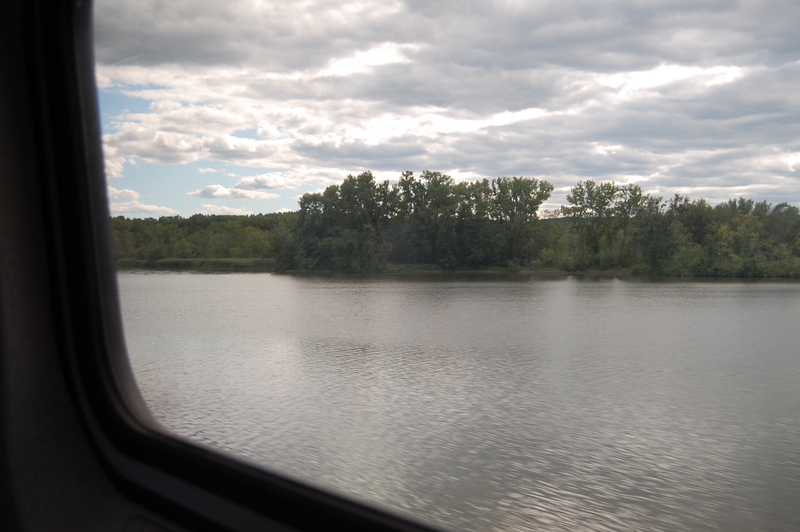 Leaving Manhattan (well, coming in too, for that matter), we traveled by train up the Hudson, enjoying calming views for the two-hour commute. I was thinking that I could get used to such travel. Husband and I wonder where our next stage of life will take us. Today’s the last day at work in Cooperstown, headed back to Durham tomorrow. Playing Will Hoge on repeat. This entry was posted in Travel and tagged NYC by Emily. Bookmark the permalink.